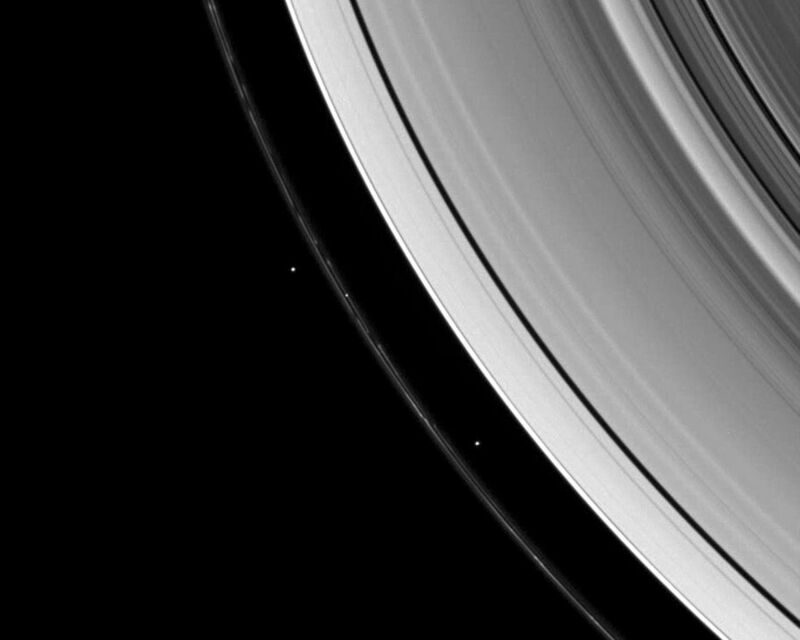 Saturn's shepherd moons gravitationally herd the F ring's particles into a narrow thread. The structure seen in the inner edge of the F ring in this wide-angle view is similar to that seen in the narrow-angle view PIA09845. 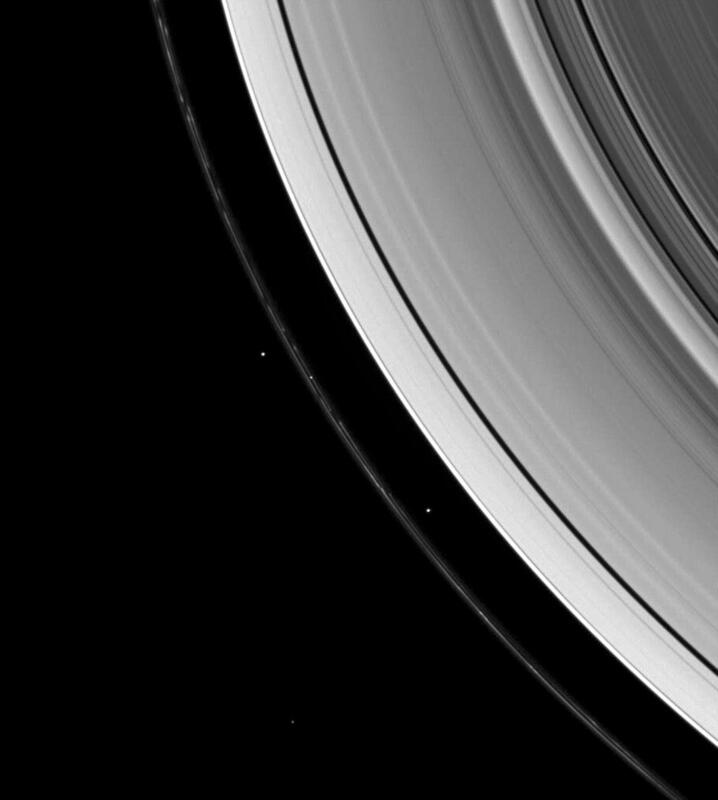 Here, Prometheus is inside the ring's inner edge. Along with Prometheus (102 kilometers, or 63 miles across) and Pandora (84 kilometers, or 52 miles across), two background stars are visible in the image. 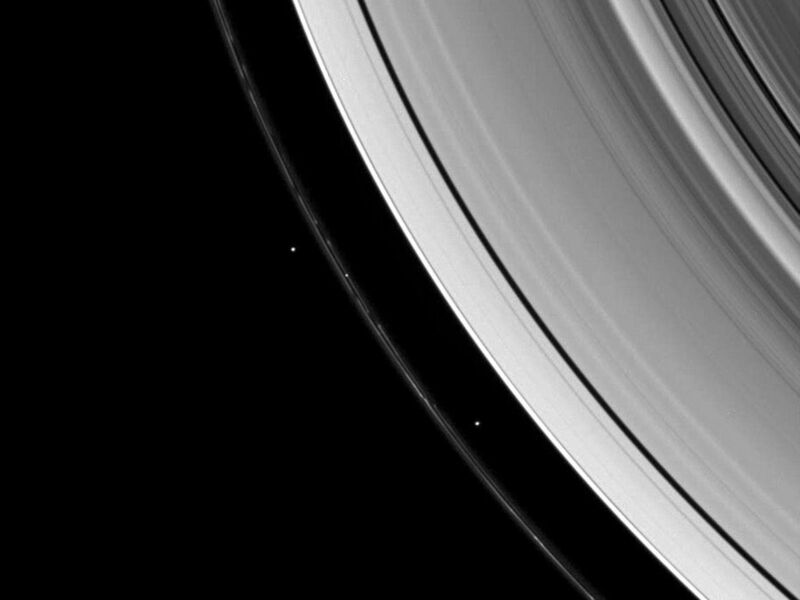 One of the stars is seen in the middle of the F ring. 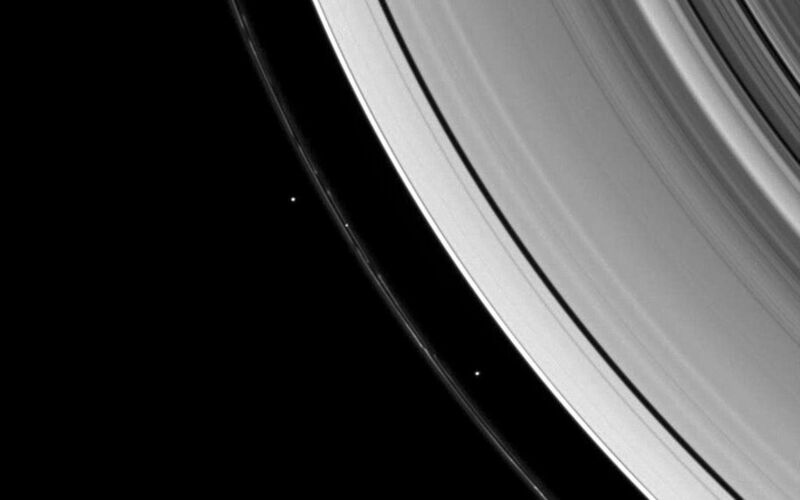 This view looks toward the unilluminated side of the rings from about 45 degrees above the ringplane. The image was taken in visible light with the Cassini spacecraft wide-angle camera on Jan. 26, 2008. The view was obtained at a distance of approximately 749,000 kilometers (465,000 miles) from Saturn. Image scale is 45 kilometers (28 miles) per pixel.